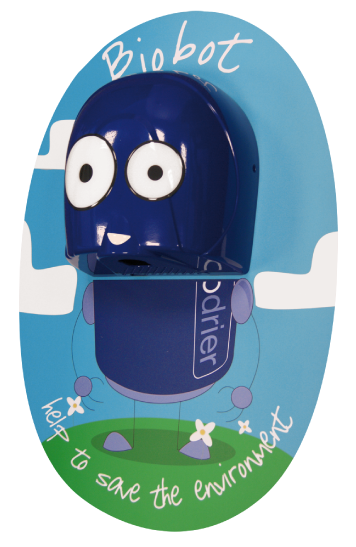 Encourages children to wash and thoroughly dry their hands much more regularly. Biobot consumes just 10% of the energy used by a conventional hand dryer and has a whopping 98.5% saving over paper towels. By teaching children the benefits of using energy efficient products they will help reduce our carbon footprint, which will provide a better environment for their future and the generations to come. Every Biobot hand dryer comes with a colourful backboard that has an energy saving message. The back board is durable and can be wiped clean as part of the every day maintenance of the washroom. 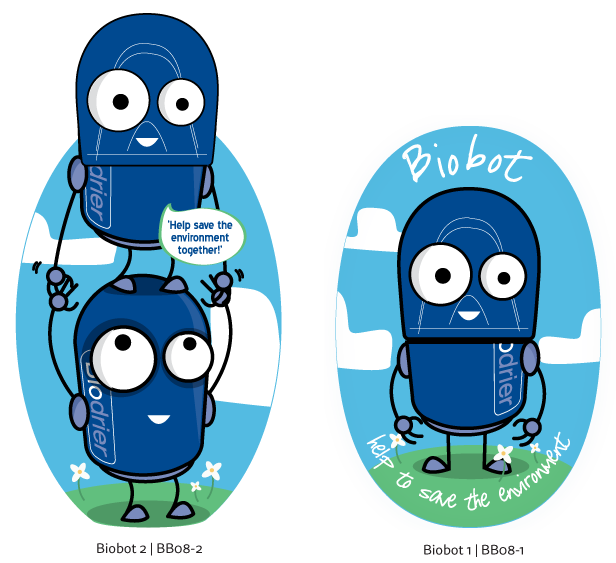 Having received feedback from teachers in several schools since the Biobot has been installed, we know the Biobot encourages children to wash and thoroughly dry their hands much more regularly. Proper hand hygiene can limit the spread of illnesses and keep classroom attendance high. High speed hand dryers can be a bit scary for young children to use. 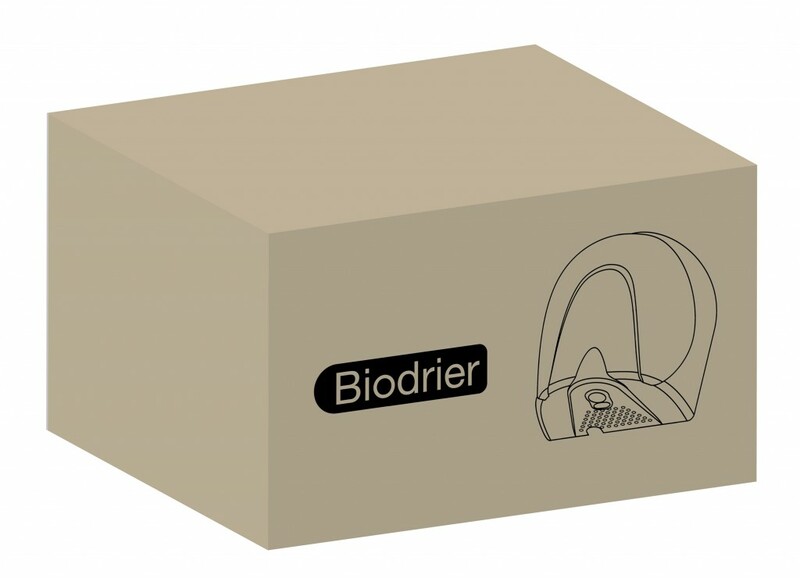 Biobot introduces children to hand drying with a friendly face and a lower decibel rating, allowing children to get used to high speed hand dryers in a familiar environment. The Biobot has not sacrificed any of its high performance for its good looks. Built using the Biodrier Eco it has fantastic energy efficiency. The savings you can make from switching from hand towels or a traditional hot air dryer are quite significant.